UNHCR Special Envoy Angelina Jolie just spent 3 days in Peru meeting men, women and children who’ve fled Venezuela. The situation in Venezuela is bad right now. The economy is in free-fall and people are struggling to survive. It’s so bad, there’s a mass exodus happening – according to the UN, 2 million people have fled in the last 3 years and 400,000 of those are now in Peru. 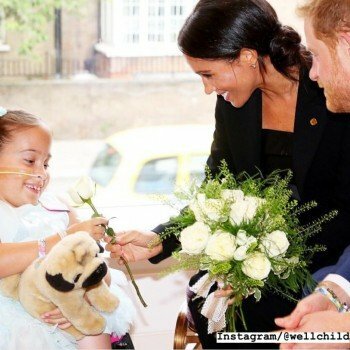 Angelina is using her platform to let us know they’ve had no choice but to leave their country – they are refugees who need to be recognised as such so they can receive the protections and support they require. 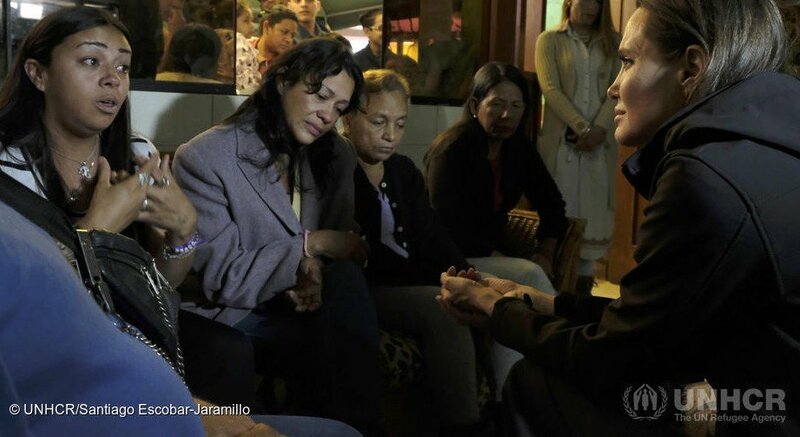 UNHCR Special Envoy Angelina Jolie listens to painful testimonies by Venezuelan women at Albergue Sin Fronteras (Shelter Without Borders) in the Peruvian capital.